Prudential Bank Limited (PBL), Cape Coast has donated six Slit-lamp Bio microscopy (Slit-lamp) equipment worth GHS 210,000.00 to the Department of Optometry, University of Cape Coast. The equipment aids in the anterior and posterior examination of the eye. 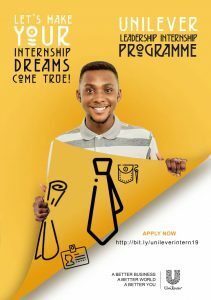 The donation was in response to proposals for support sent by the department through the university management to stakeholders of which PBL is part. 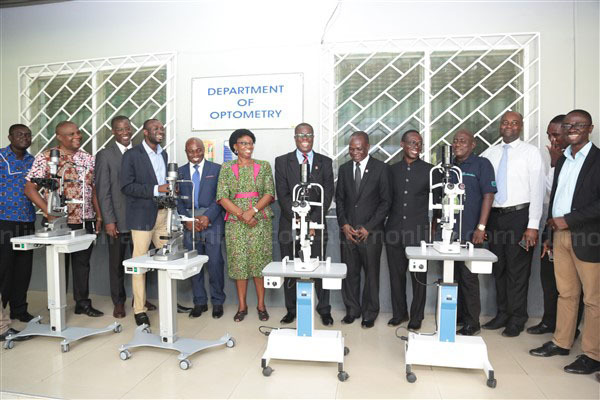 At a short handing over ceremony on Wednesday at the department, the head of Optometry, Dr. Emmanuel Abu described the gesture as timely as the department has been in dire need of such equipment. 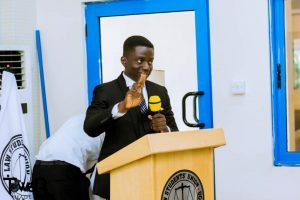 Manager of PBL, Cape Coast, Mr. Eric Sarpong Appau noted, this gesture will not be the last as the bank has plans of doing more for the university. 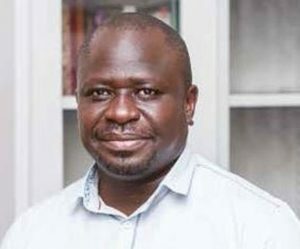 On his part the vice chancellor of UCC, Prof. Joseph Ghartey Ampiah who witnessed the donation expressed gratitude to PBL for their continuous support to the university.